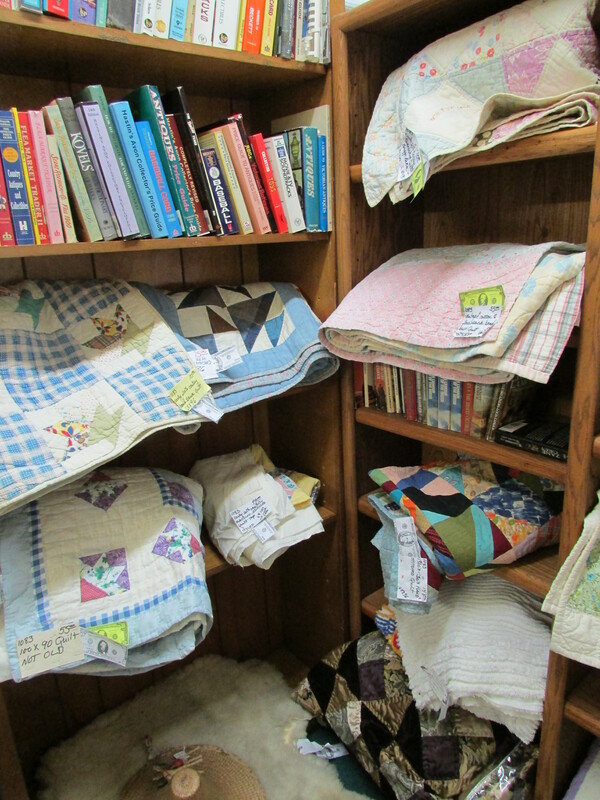 old quilts in texas | is there any more pie? Posted on April 23, 2015	by is there any more pie? This turned out to be a really good place. 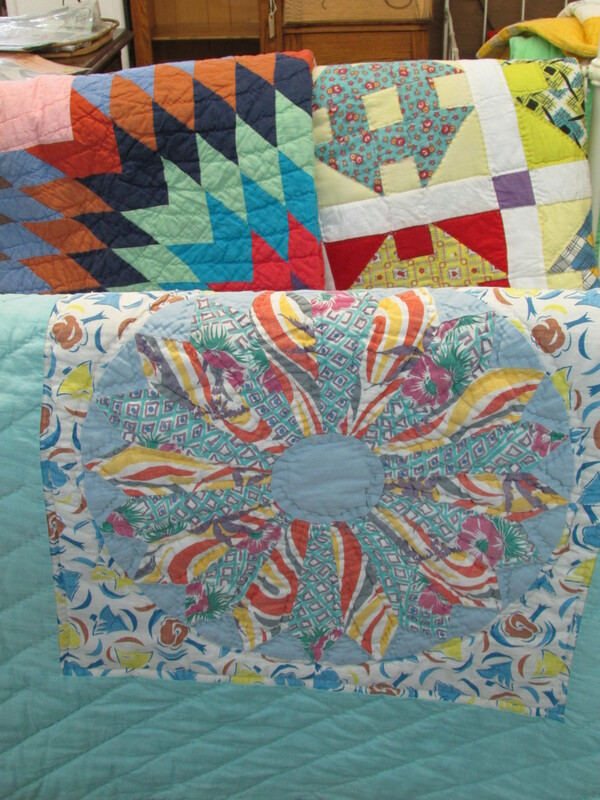 Check out the quilts! 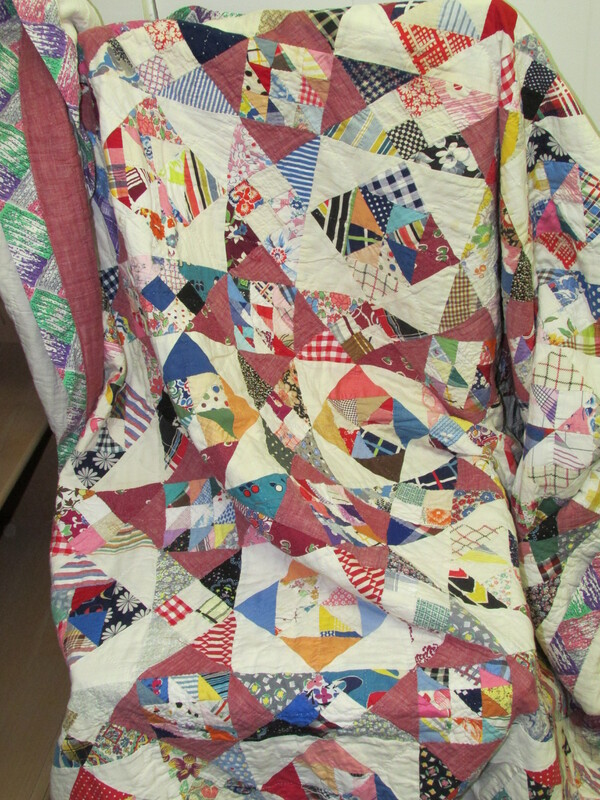 I love looking at vintage quilts. Love, love, love them. 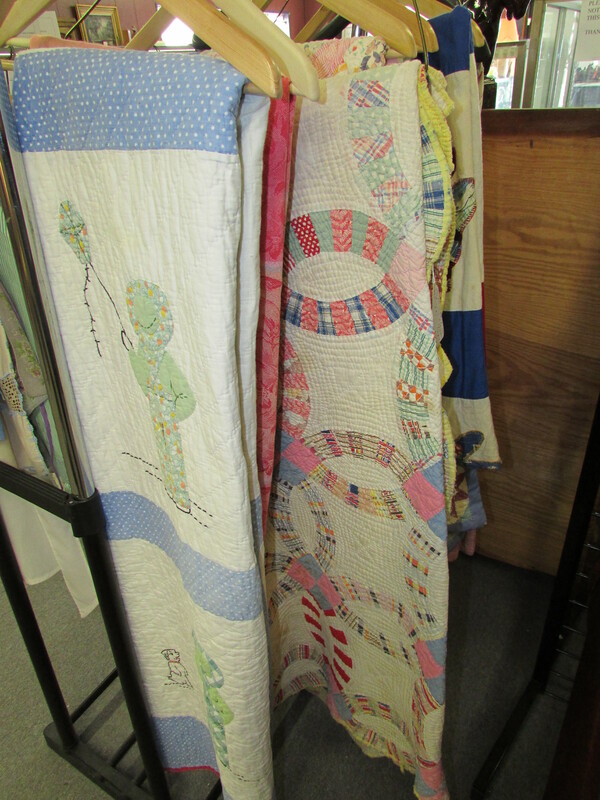 The Wedding Ring Quilt on the right had beautiful quilting. Do you see how tempting this was for a quilt addict???? I wish I had bought this one. It looked modern, but was made out of flour sacks. This quilter had a wild side! 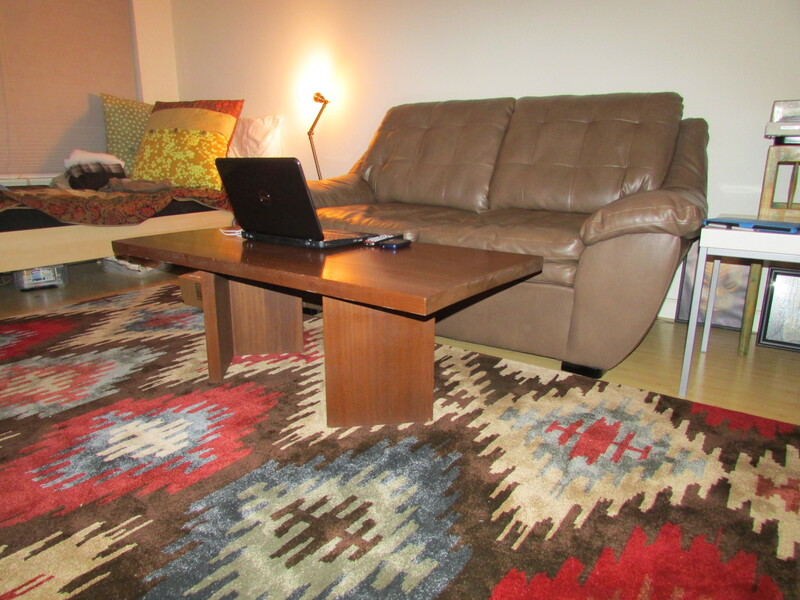 I also bought a coffee table. It was solid wood from the 1960’s and the perfect modern table for the condo. Banjo Man and Story Man were impressed. And all of this happened before lunch. 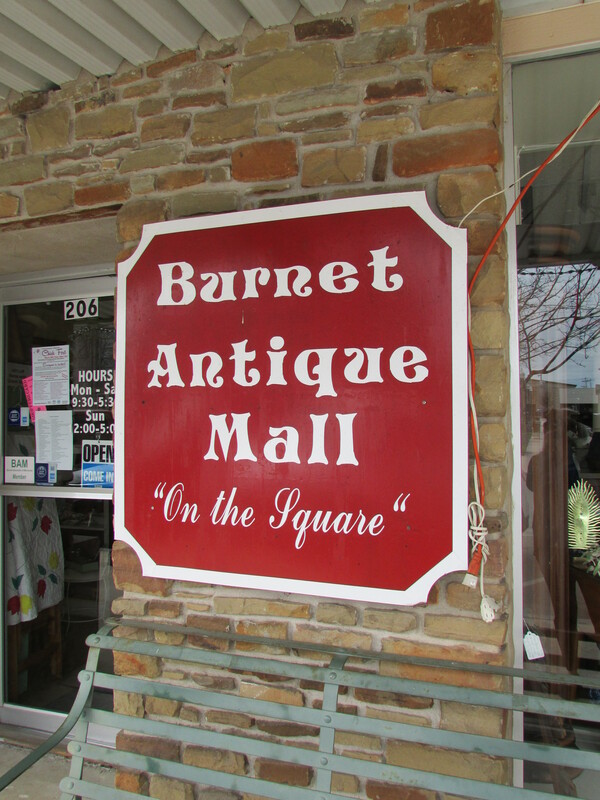 This entry was posted in austin, family, just for fun, secondhand stuff, shopping, texas, travel. Bookmark the permalink. 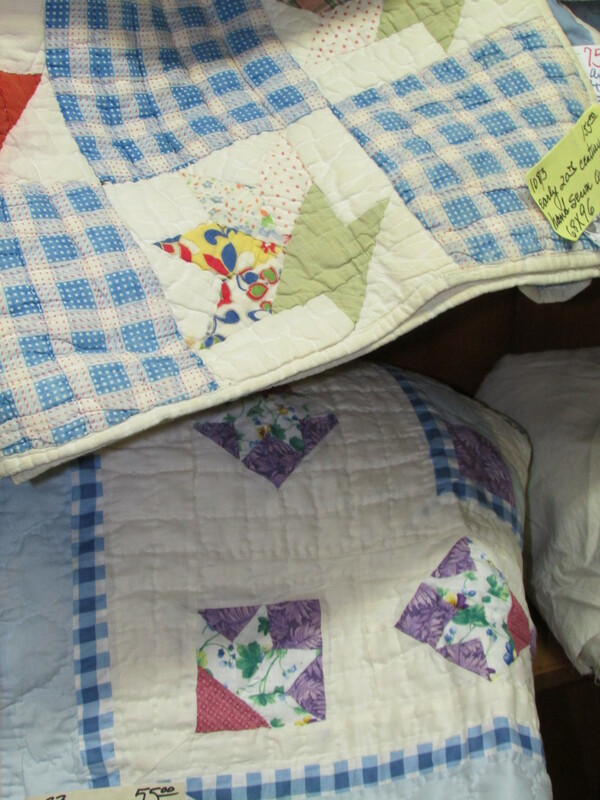 Loved the quilts,especially the one made from flour sacks.You need that quilt.